Norovirus causes nausea, stomach pain, vomiting and diarrhea. Other symptoms can include fever, headaches and body aches. The student who contracted norovirus is receiving medical care. 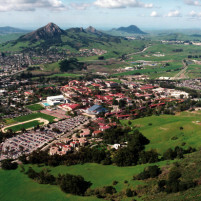 Cal Poly custodial staff have thoroughly cleaned all areas on campus that the student visited during the exposure period, according to university officials. Norovirus is contagious and can be contracted by people of all ages. Symptoms typically develop within 12 to 48 hours of exposure to norovirus. Individuals who contract the illness tend to improve within 1 to 3 days. Officials are instructing students to wash their hands before eating and preparing food, as well as after using the restroom and sneezing and coughing. Anyone who develops norovirus-like symptoms is instructed to contact the campus health center or go to a hospital for diagnosis and treatment.